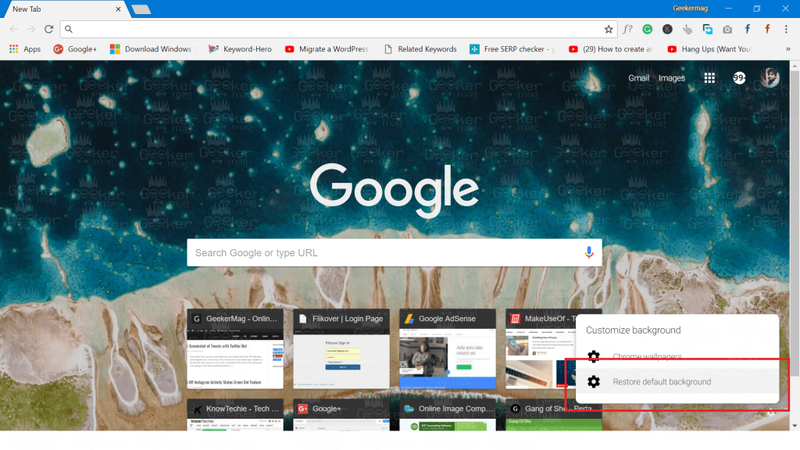 The following blog post will guide you step by step instructions on how to change new tab page background in Chrome browser. Starting with Google Chrome 68, the company has introduced lots of useful experimental features. Now you can enable rich search suggestion in Chrome. 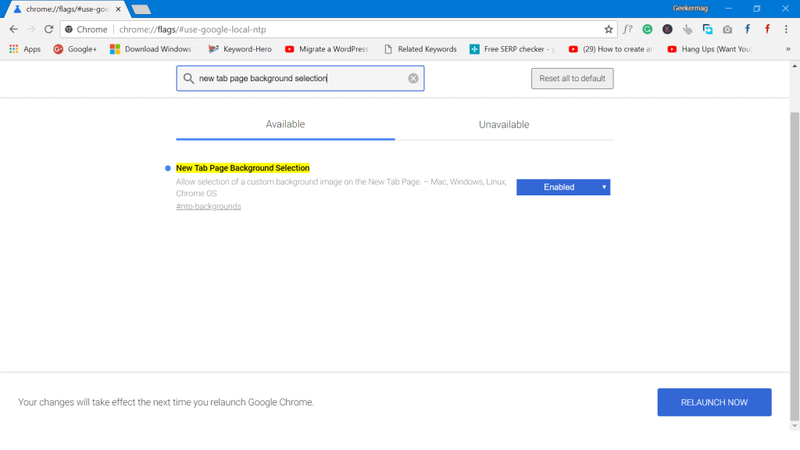 In this post, I’m going to review another chrome feature using users can change the background of the new tab page in Chrome. Sound cool? Yes, it is! 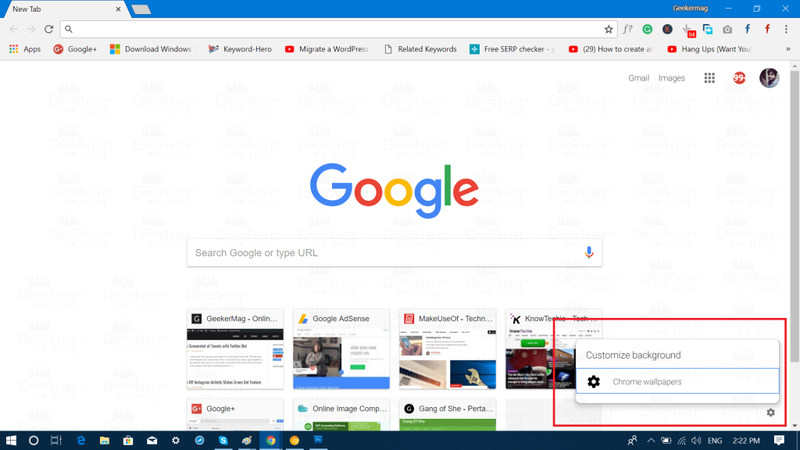 This is a useful feature and takes users one step further the way users customize Chrome New Tab page. With this feature, users can set custom background or color of their choice to the New Tab page, when Google search is a default search engine. Update September 04, 2018: Starting with Chrome 69, the Chrome material design redesign is enabled with default settings. You don’t have to enable any flag. In case, its still not working, then you can enable it via step discussed below. Note: Follow upcoming steps only, if you’re aware of what is Chrome experimental flags and what are their pros and cons. 1. 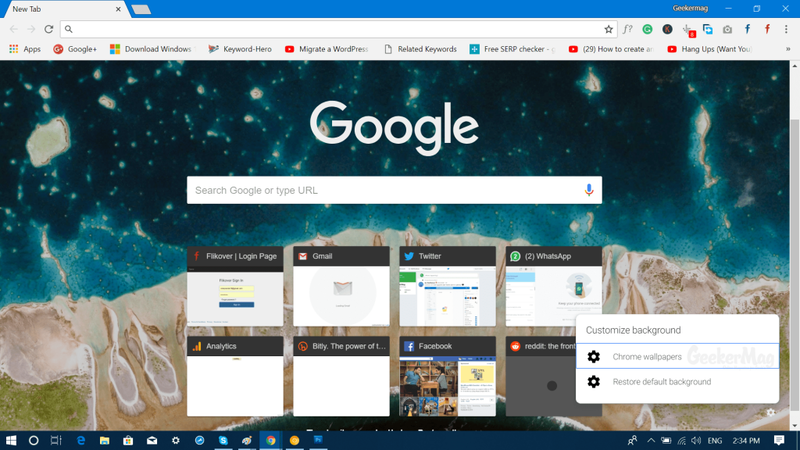 Launch the Google Chrome browser on your PC. Here, using the drop-down next to this flag, change settings from Default to Enabled. Click on the Relaunch Now. Again change the flag settings from Default to Enabled using drop-down and click on Relaunch Now button. At this point, you have successfully enabled the Chrome New Tab page background selection feature. 4. Now if you open the New Tab in Google Chrome and have a look at the bottom right corner, you will see a Gear icon. When you click on it, Customize background dialog will open up. Here click on Chrome wallpapers. 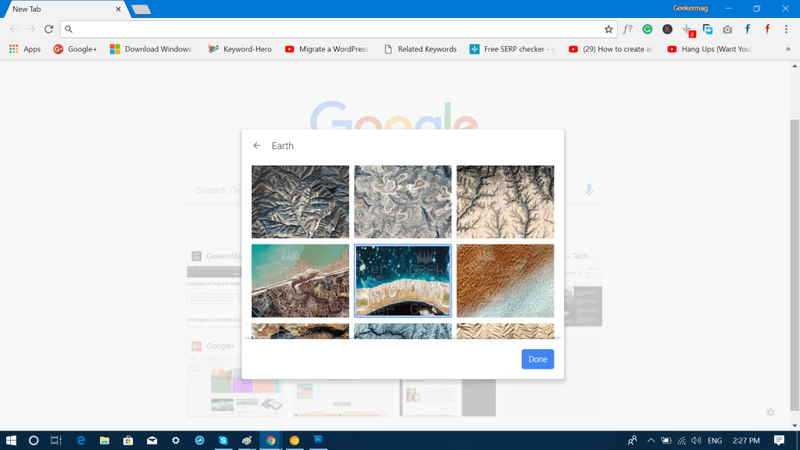 Select Google Chrome wallpaper category from which you want to select wallpaper. Here you will get a list of wallpapers that comes under the selected category. Select one and then click on Done button. In case, you want to set the solid color, as a background then select Solid Colors category from the list. It has various colors. 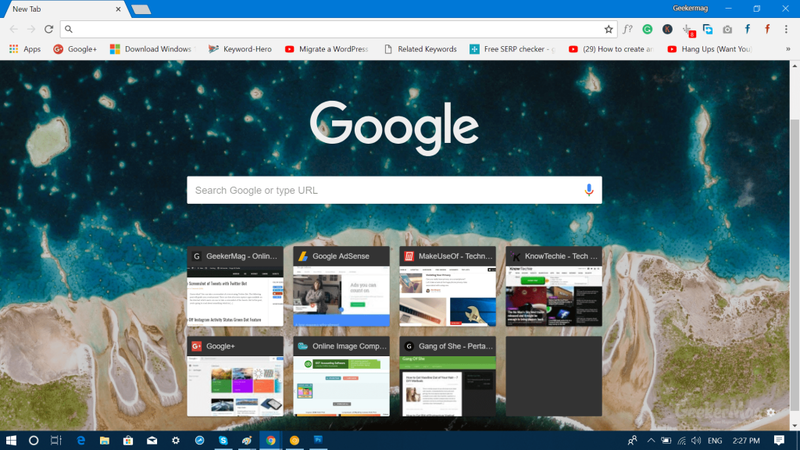 How to Remove New Tab Background? At any point, you want to switch back to default background of Chrome; then you need to click on the Gear icon and then select Restore default background option. 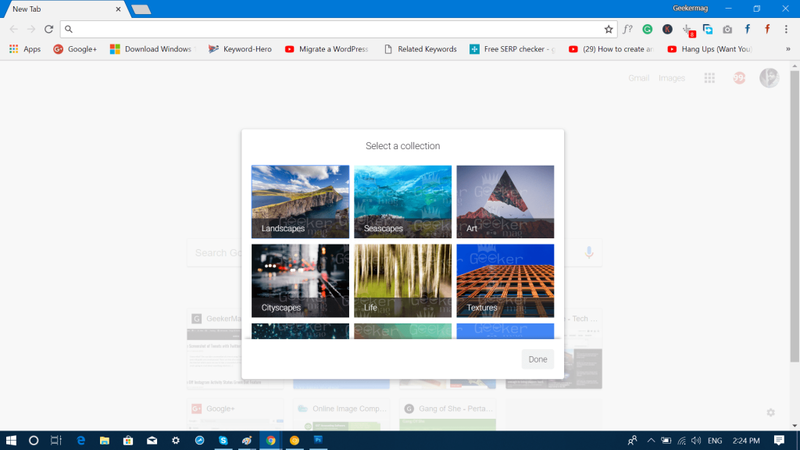 As of now, this new feature only offers you Chrome wallpaper, but the Chrome Canary version provides you more options like Select from Google Photos, and Upload a custom photo from PC. I expect these will be available later in the stable version of Google Chrome. Isn’t this a handy feature? What do you think of this new experiment feature? Do you want Chrome to have this feature out of the box? Find my blog post on how to change New Tab page background in Google Chrome? Let me know everything in the comments.